Home Games Fate/Grand Order earned over USD $80 Million last September! Fate/Grand Order earned over USD $80 Million last September! No wonder lots of devs are switching to mobile games. If you still don’t believe that mobile titles have taken over console and PC gaming revenue-wise, then you should definitely believe so now. Game tracker Game-i recently posted that Aniplex and Type-Moon’s Fate/Grand Order earned over 9 billion yen in just the month of September — that’s USD $80 Million in just one month! While the Fate series is one of the most popular media franchises from Japan, it’s still surprising that F/GO makes more money that other popular mobile games such as Granblue Fantasy (3.4 billion Yen last October) and Pokemon GO (3.7 billion Yen last October). 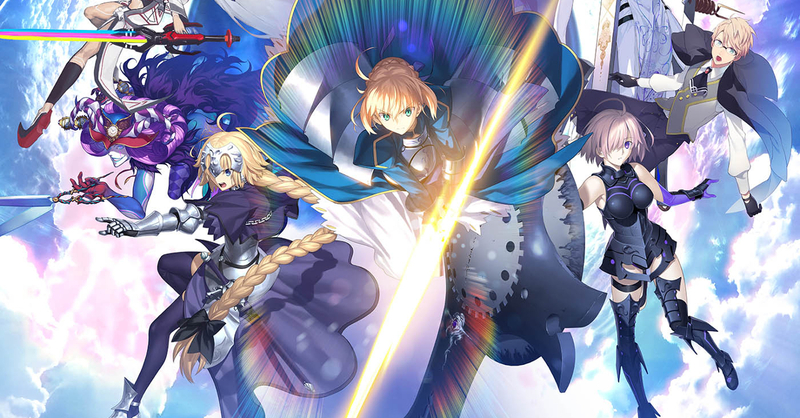 In case you aren’t familiar with Fate/Grand Order, it is a ‘gacha game‘ (mobile games with loot box-like mechanics) based on the Fate series, the series having originated from the 2004 visual novel Fate/Stay Night. The Fate/Stay Night visual novel (which at first release was an ‘eroge‘) has spawned a lot of different spin-offs, as well as anime adaptations such as the Unlimited Blade Works anime and the Heaven’s Feel movies. While Fate/Grand Order is made primarily for fans of the Fate series, even non-fans of the series can have fun with the game. If you’re interested in trying it out, watch the quick guide above by G&A Reviews to help you get started! F/GO is available officially in the Philippines at the App Store and the Google Play Store. Story via Anime News Network. Next articleRealme will officially enter the Philippines later this month!